As Hallowed Fountain comes into play, you may pay 2 life. If you don’t, Hallowed Fountain comes into play tapped instead. 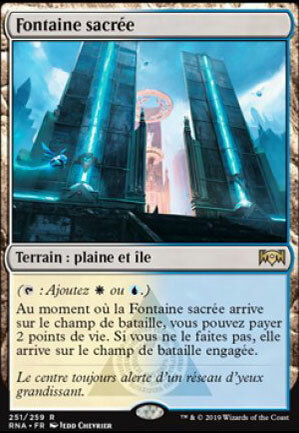 2305 decks jouent cette carte.